This week our theme is choosen for us by Sandy and she has picked……DOORS. So let’s see what you can all come up with this week! 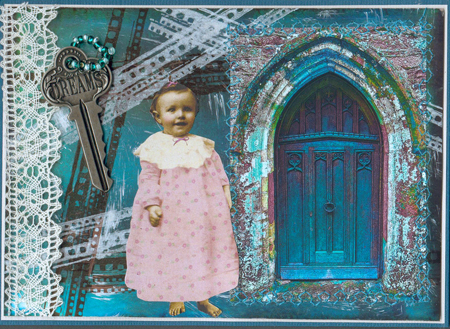 Any sort or style of door is welcome using any medium you fancy – stamped, collaged, handdrawn, digital fabric, etc just as long as it’s a 6″ x 4″ postcard.